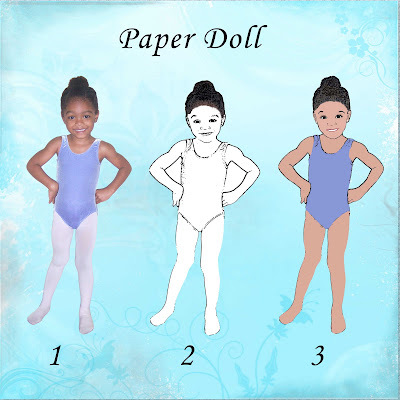 I use to love playing with paper dolls when I was little. My daughter has a few paper dolls. I decided one day how great would it be to turn her into a paper doll. I used Adobe Photoshop Elements to turn my little Kayla into a paper. First I took a photo of Kayla in her leotard. Next I turn the photo into a black and white photo. Next I change her photo into a stamp. My final step included coloring her by using my bamboo tablet. I use the eyedropper tool to select colors from the original photo to recolor the stamp of Kayla. I really like how her doll turned out. I still have to create some clothes. What a beautiful paper girl and a good idea, I think I will try it for my little girl too !